You can see that we waited for the plant to show full ripeness; chlorosis in the fan leaves, loss of some fans leaves, and the “disappearing pistils” indicating full, ripe buds (calyxes). 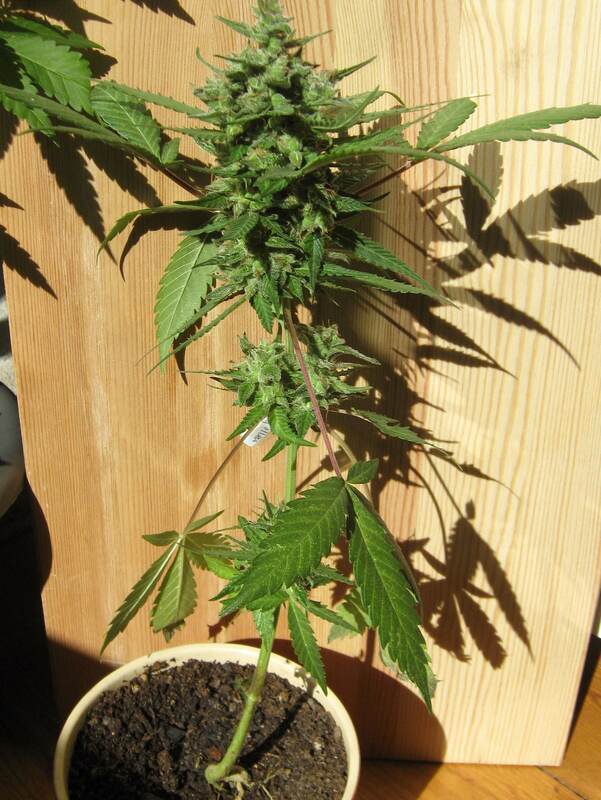 I should note that although the mother seed (RQS Royal Automatic) was an autoflowering feminized seeds, the father plant was a standard male, and will have fertilized the buds with both male and female pollen, so the offspring won’t be “autofem” seeds, but rather both male and female. And as I mentioned before, may not be entirely auto! If the quality is good, they could be selected in a next generation and further refined/female pollen produced for feminized seeds. Bookmark this site and check back later for updates with pics of the harvested seeds and a look at the offspring of this interesting cross-breeding experiment! How did this went? 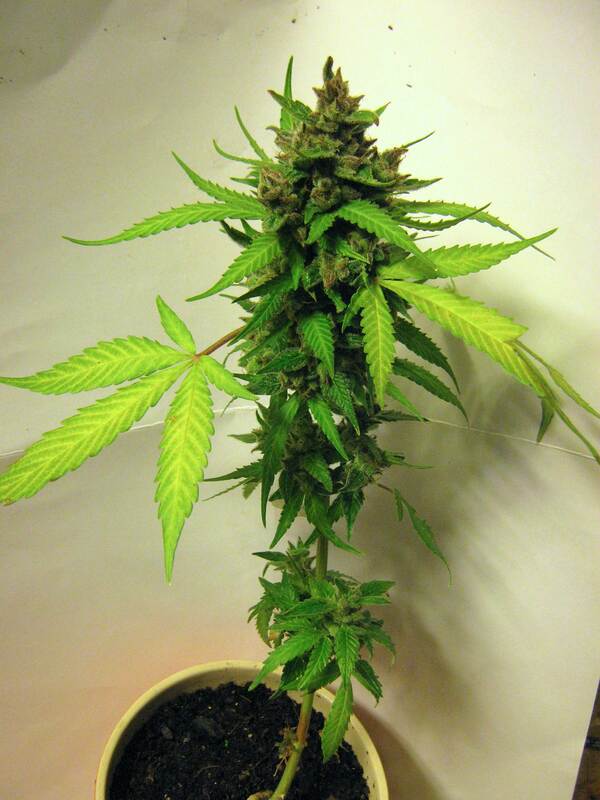 I think you will have only about 25 % autoflowers as autoflowering trait is recessive but I may be wrong, maybe you can send me an email where to find the result? Is there any shops in internet where i can get pure ruderalis seeds, or do i need to visit russia, i love breeding aswell.. It is certainly possible, although I personally have not seen them offered. Some argue that there is a “true ruderalis” only found in Russia, but I contend that this is not the case (through experience).